'The police were called immediately, and the suspect's vehicle was blocked up. 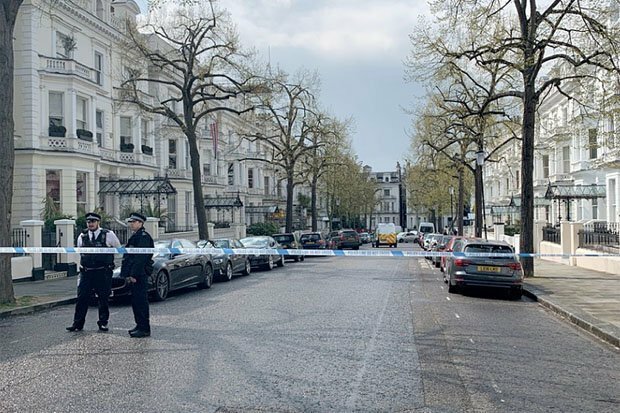 When officers arrived on the scene, a vehicle was "driven at them", Metropolitan Police said. "On arrival at the scene, a vehicle was driven at police officers", the force said in a statement. It added that British police were investigating the suspect's identity and a possible motive. Adding: "I would like to pay tribute to the officers involved in this incident who responded this morning and put themselves in harm's way as they do every day to keep the people of London safe". The Director of Professional Standards has been notified of the incident.